(Pat Bagley | The Salt Lake Tribune) This Pat Bagley cartoon, titled What Women Want (Just a wild guess), appears in The Salt Lake Tribune on Tuesday, Nov. 14, 2017. 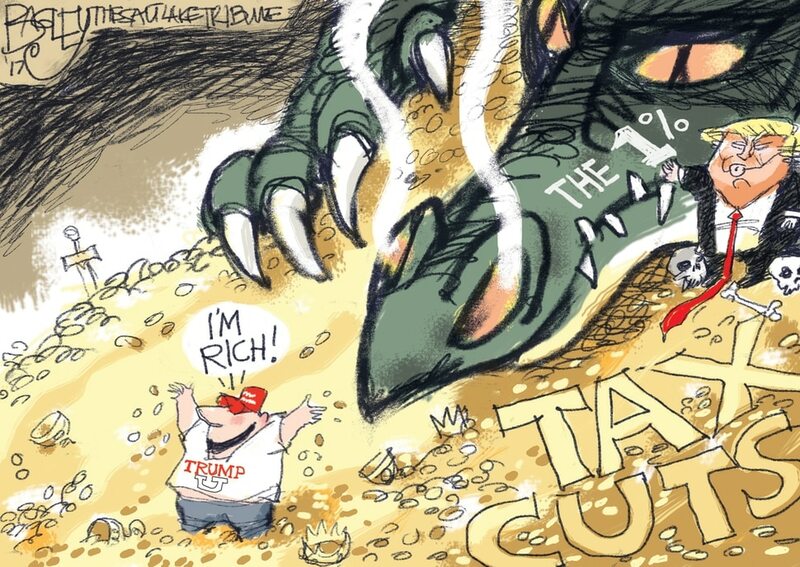 This Pat Bagley cartoon appears in The Salt Lake Tribune on Friday, Nov. 10, 2017 (Pat Bagley | The Salt Lake Tribune) The latest cartoon from Pat Bagley, Dragon's Tax Horde, appears in the Tribune on Thursday, Nov. 9, 2017. (Pat Bagley | The Salt Lake Tribune) This Pat Bagley cartoon, titled The Upside Down, appears in The Salt Lake Tribune on Tuesday, Oct. 31, 2017. (Pat Bagley | The Salt Lake Tribune) This Pat Bagley cartoon, titled Arch Conservatives, appears in The Salt Lake Tribune on Sunday, Oct. 29, 2017. (Pat Bagley | The Salt Lake Tribune) This Pat Bagley cartoon, titled Republicans With Principles, appears in The Salt Lake Tribune on Friday, Oct. 27, 2017. (Pat Bagley | The Salt Lake Tribune) This Pat Bagley cartoon, titled What Hate Speech Looks Like, appears in The Salt Lake Tribune on Thursday, Oct. 26, 2017. (Pat Bagley | The Salt Lake Tribune) This Pat Bagley cartoon, titled The Lying Press, appears in The Salt Lake Tribune on Tuesday, Oct. 24, 2017. 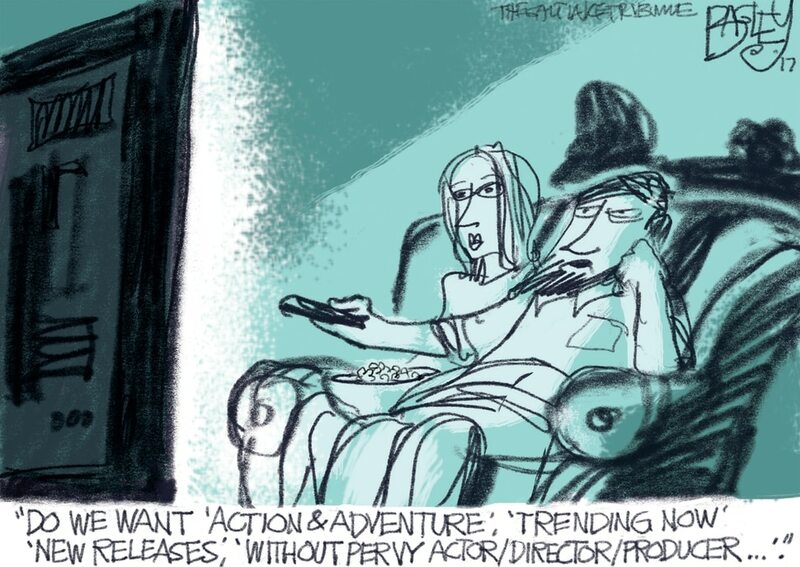 (Pat Bagley | The Salt Lake Tribune) This Pat Bagley cartoon, titled What Women Want (Just a wild guess), appears in The Salt Lake Tribune on Saturday, Oct. 21, 2017. 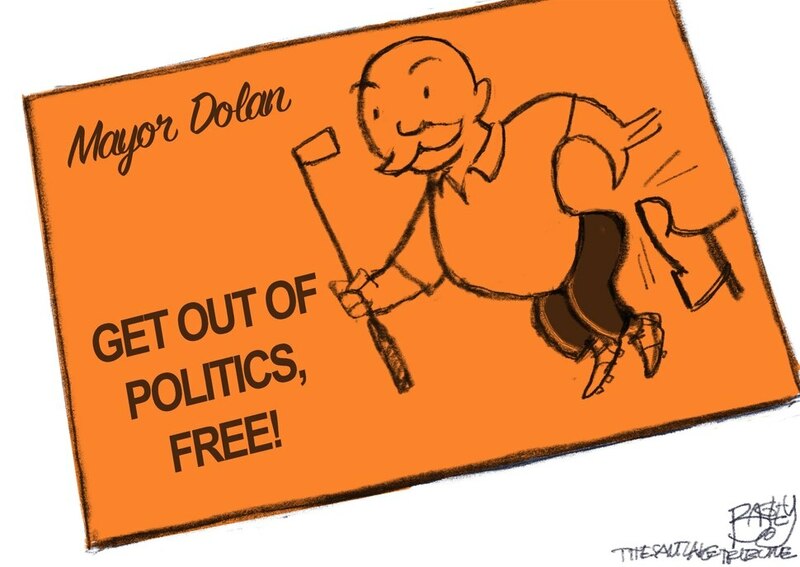 This Pat Bagley cartoon appears in The Salt Lake Tribune on Tuesday, Nov. 14, 2017.